So how do you build a successful company in Africa while contributing to the development of this beautiful and diverse content? While in Kenya last year, I met an inspirational business leader called Laila Macharia. A Stanford and Cornell law graduate, Laila left behind an exciting life in New York city to make a difference in Kenya, the country of her birth. She has since created and supported businesses across the region, from housing development to her current interest, a creative media and technology training college. She has also spent a decade helping reform policies in the land, financial, transport and education sectors. In my opinion, she is also an inspirational, wise and compassionate leader. The perfect person to share with us how to build business while contributing positively to Africa’s development. Raised in Kenya, Namibia and Somalia, Laila Macharia is a Serial Entrepreneur and Angel Investor who the Times of London recently honored as one of the Top 20 Women to Watch in Africa. A graduate of Cornell and Stanford Law, she recently invested in the Africa Digital Media Institute in Nairobi. ADMI is a fast-growing digital arts and technology school that today hosts students from over 10 countries and in 2017, is expanding to West Africa. After a decade working on policy reform within Kenya Private Sector Alliance, Laila continues to support individual entrepreneurs and the entrepreneurship ecosystem. 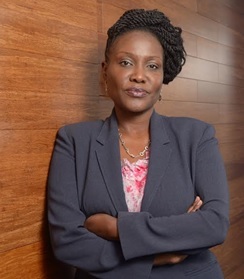 She also serves as a non-executive director at the Barclays Bank of Kenya and at Centum, an investment firm that is among the best-performing companies on the Nairobi Stock Exchange.